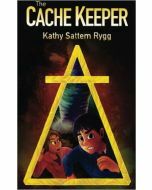 The Cache Code is written by Kathy Sattem Rygg and is the third book in the series. 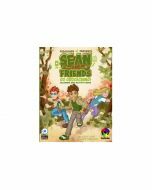 This 186 page paper back book is great for kids, teens, or any Geocachers that like a fun adventure! Geocaching genius Dylan Fisher and his three best friends vacation over the holidays in California. 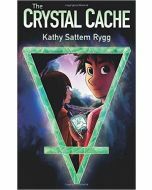 By solving a series of puzzles caches and complicated codes, they discover a third elemental crystal—and its catalyst. But this time the crystal’s power is even more unique and dangerous. Suspicious that someone close to them is secretly working for 4E Labs, Dylan is determined to find out the truth. Unfortunately disaster strikes, and one of Dylan’s best friends risks losing their life unless he can harness the crystal’s power. He must expose his biggest secret to the ones who might turn out to be the enemy in order to save his friends.